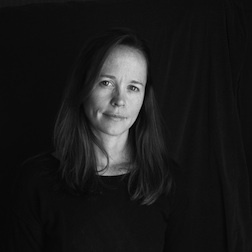 AMY TOENSING is a photojournalist and filmmaker committed to telling stories with sensitivity and depth and known for her intimate stories about the lives of ordinary people. Toensing has been a regular contributor to National Geographic magazine for almost two decades. She has photographed cultures around the world including the last cave dwelling tribe of Papua New Guinea, remote Aboriginal Australia, the Maori of New Zealand, and the Kingdom of Tonga. She has also covered issues such as food insecurity in the United States, the devastation caused by Hurricane Katrina and Muslim women living in Western culture. She is currently working on her sixteenth feature story for National Geographic magazine. Toensing’s work has been exhibited throughout the world and recognized with numerous awards, including two solo exhibits at Visa Pour L’image, Festival of the Photograph in Perpignan France (2012 + 2017). Her work has also appeared in Smithsonian, The Boston Globe, The Wall Street Journal, Newsweek, Time Magazine, and National Geographic Traveler. One of her Australian outback photographs was chosen as one of National Geographic magazine’s all time 50 Best Photos. Toensing’s work is currently included in the group exhibit Women of Vision celebrating National Geographic magazine’s female photographers. Toensing has co-directed short documentary films about urban refugee children in Nairobi and the marginalization of widows in Uganda. Toensing began her professional career in 1994 as a staff photographer at her New Hampshire hometown paper, The Valley News. She then worked for The New York Times Washington D.C. bureau covering the White House and Capitol Hill during the Clinton administration. In 1998, Toensing left D.C. to obtain her Master’s Degree from Ohio University, School of Visual Communication. In addition to her photojournalism and film work, Toensing teaches photography to kids and young adults in underserved communities, including Burmese refugees in Baltimore, young photojournalist in Islamabad, Pakistan and Syrian refugee children in Jordan.